Sometimes all we need is a little change. 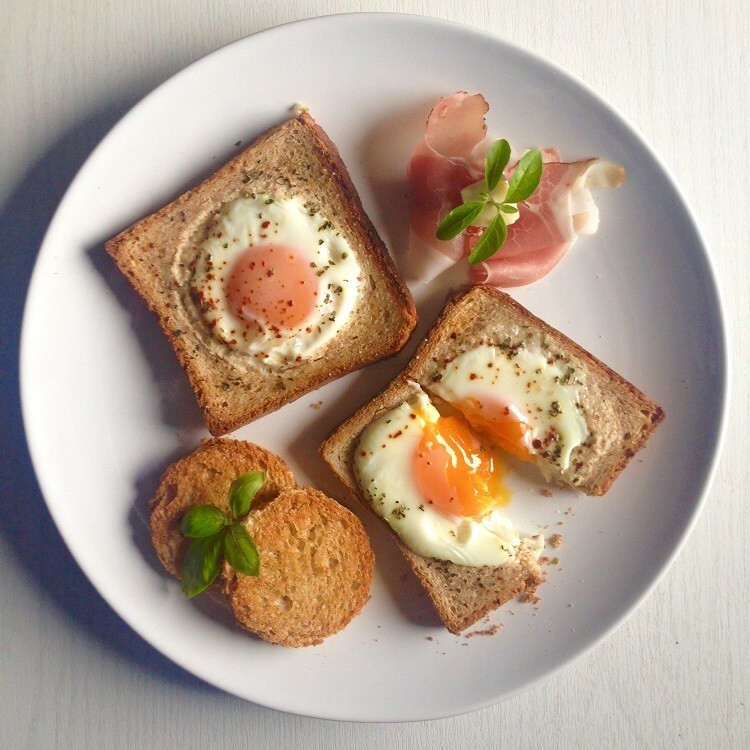 This dish might not taste all that different from the regular sunny side up eggs, but it does look a lot fancier and sometimes this is just what we need – a little treat just for ourselves, from ourselves, just because. And the toast is so deliciously crunchy when baked in the oven with a little bit of butter. 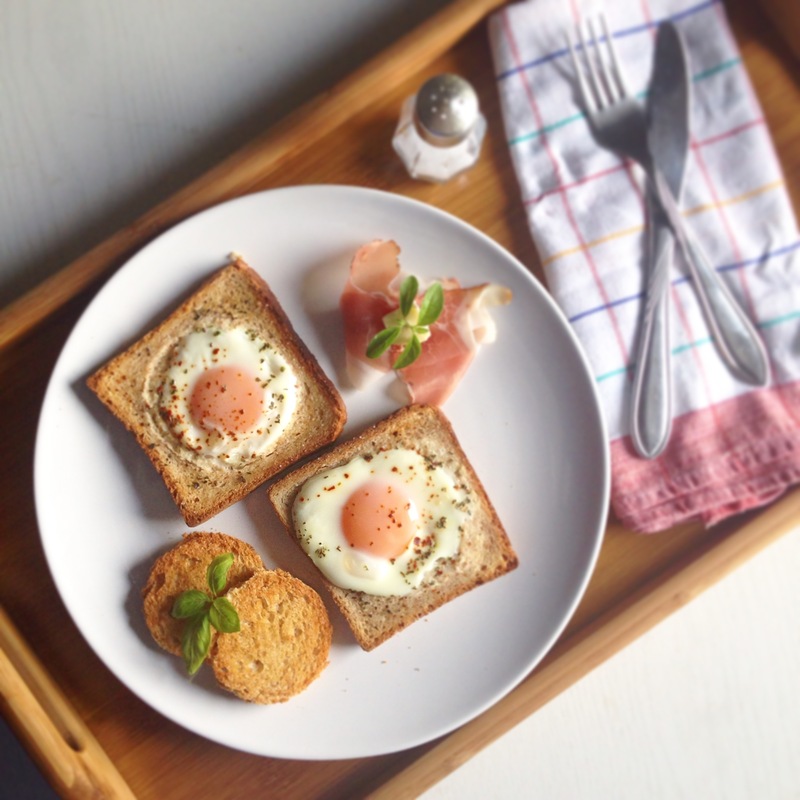 Serve the eggs with some cheese and prosciutto and you have yourself a delicious, healthy breakfast, which also looks really good. Preheat the oven to 210 degrees Celsius. Place an empty baking tray in the oven while you are heating it. This way the eggs will set a little as soon as you crack them in the toast hole and you will prevent them from “sliding away” from the hole underneath the toast. In the meantime, use a small glass or cookie cutter and cut out the middle of both toast slices, making sure you leave about a centimeter of toast all around. Carefully push out the middle and butter both the cut outs and the toasts. When the oven is almost heated to 210 degrees Celsius, take the baking tray out and grease it with some butter. Be careful, it will be hot! Place in the toast and cut outs, buttered side up. Carefully crack each egg into the toast holes, season with salt, basil and chilli and return the tray to the oven. Bake for 10 minutes or until the egg whites are set and serve immediately.